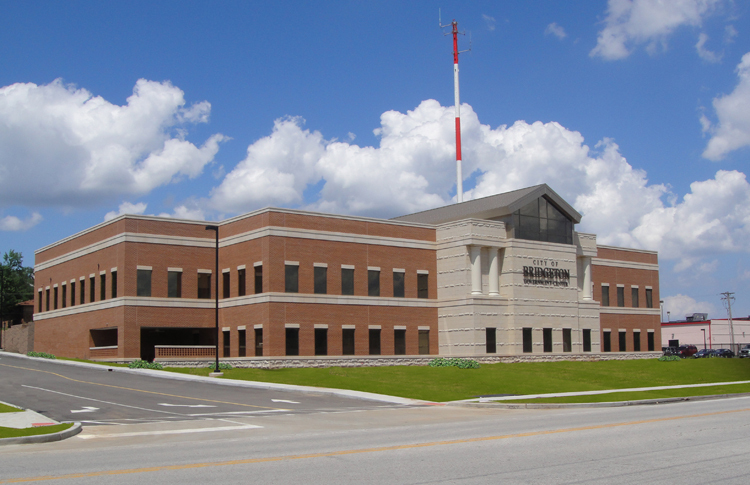 Bridgeton, MO City Hall and Police Department - Redstone Architects Inc.
Redstone Architects, law enforcement consultant to Chiodini Associates of St. Louis, MO, programmed and provided design services for the police portion of the city’s new Governmental Complex. The police department will occupy approximately 25,000 sf of the facility. The sloping site provided challenges and opportunities for the team to create an exciting and efficient solution. The Council Chamber also serves as a Municipal Court.